Their ruined homes await their return, but so do the soldiers who have encamped there for a year. MANILA – Various groups of Lumád and human rights advocates are calling on President Duterte to order the pullout of soldiers in their communities, as the Lumád bakwets (evacuees) of Surigao del Sur province prepare to return home after a year since they left. The tragedy of the Lianga massacre is still fresh in their minds, but what pains the Lumád even more are the soldiers who are still encamped in the communities of Kilometer 9 and Han-ayan in Diatagon village, where two Manobo leaders and the director of the Alternative Learning Center for Agricultural and Livelihood Development (Alcadev) were killed on Sept. 1, 2015. On that day, the communities left in haste after the dawn rampage by the military-backed Magahat-Bagani militia group which killed Manobo leader Dionel Campos, Datu (chieftain) Juvello Sinzo and Alcadev head Emerito Samarca. The paramilitary men had threatened to massacre the communities if they stayed. Last week, on Aug. 24, a multisectoral group from government agencies and progressive groups made an ocular visit to 11 communities in the towns of Lianga and San Agustin and found two military encampments by 75th Infantry Battalion soldiers. “Our hearts were crushed upon seeing our houses damaged, our once productive farms covered with weeds and our schools rendered unusable… Above all, we were enraged upon seeing the large military camps in our communities in Kilometer 9 and Han-ayan,” said Tenia Garay, acting chairperson of the Manobo group Malahutayong Pakigbisog alang sa Sumusunod (Persevering Struggle for the Next Generation, or Mapasu) in a statement to media Aug. 27. Mapasu decried how the military has disregarded the communities’ demand for their withdrawal, as well as the unilateral ceasefire declared by the President on the New People’s Army. “Despite knowing that President Digong Duterte has assured us of our safe return home, despite there being a ceasefire between the CPP-NPA-NDF, despite the ongoing peace talks and despite President Duterte’s directive that the military respect the ceasefire, Col. Isidro Purisima remains deaf and blind to the command,” Garay said. “They (the military) are the ones stopping us from returning to rebuild our communities, farms and schools,” Garay said. This was the longest time that Surigao Sur communities have been away from their homes, which they repeatedly evacuated to evade intense military harassment and operations. A broad multisectoral group is set to have a dialogue on Aug. 31 with Col. Isidro Purisima, commanding officer of the 402nd infantry brigade, to demand the “turnover” of the communities and the soldiers’ return to barracks. Some 2,000 bakwets will be coming home on Sept. 3, to be accompanied by supporters and Lumad advocates who will help kickoff the rebuilding of communities. The multisectoral group that conducted the ocular visit was composed of 268 people from the Department of Social Welfare and Development, Department of Health, Department of Education, National Commission on Indigenous People, Alcadev, Mapasu, Tribal Filipino Program of Surigao del Sur and various church groups. Garay said that, ironically, Col. Purisima claimed that the soldiers were meant to guard the houses, and that if they leave, any destruction of properties might be blamed on them. But the most damaged and looted structures and facilities were the ones closest to the soldiers’ camps. 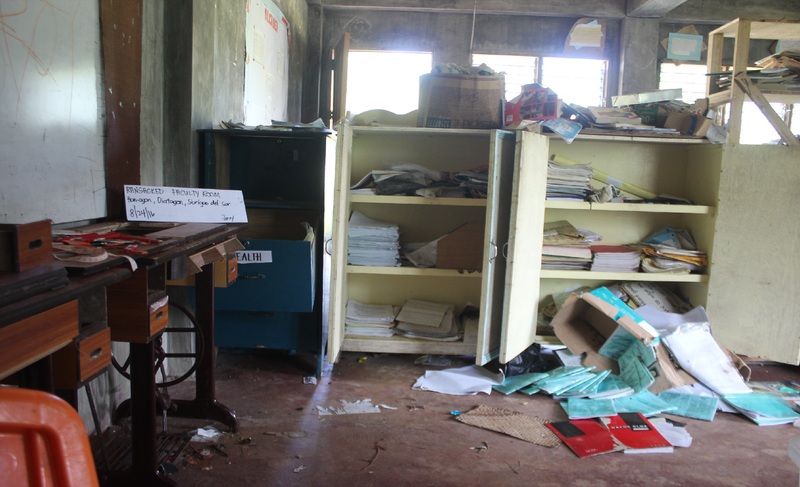 In its summary report, the multisectoral group painted a dismal picture of the 11 abandoned communities they visited: all houses were damaged and looted, at least 10 were burned; six schools were damaged, school supplies, books and equipment were destroyed beyond repair; farms and vegetable gardens overrun with weeds. 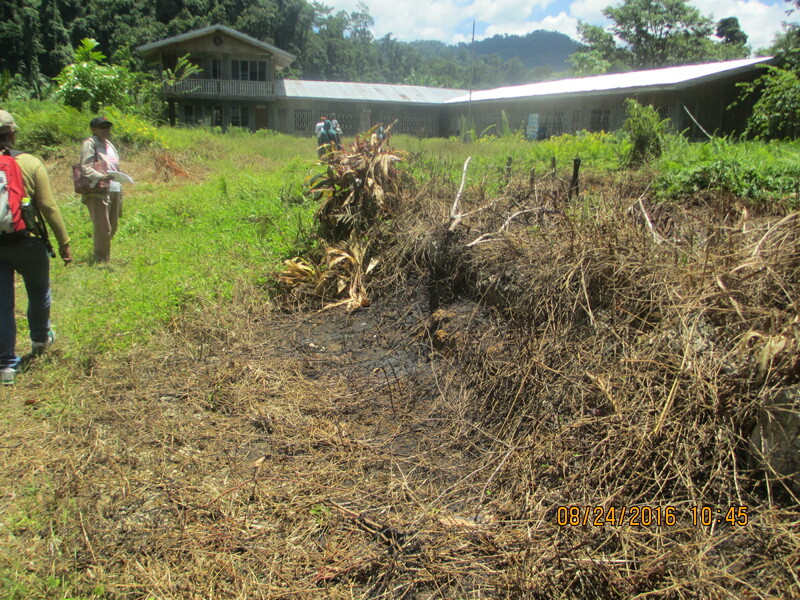 Machineries such as corn mill, abaca stripper machineries, and generators were intentionally destroyed, as paint and salt were poured in the fuel tanks. “Houses and schools including those that were under construction or newly constructed at the time of the evacuation were dismantled; wood, nails, GI sheets, pipes, water hose and even toilet bowls taken and strewn around, used as firewood or (removed),” the report said. Among those missing from homes were kitchen utensils, farm tools, store supplies, generator and motorcycle spare parts. Some houses were also vandalized. “The water system and electrical connections have been rerouted to the military camp and others destroyed, some deliberately, some because of the long period of displacement. Several water pipes and hose cut from its previous installations in the houses and public water tub were found in the pathway going to the military camp in Kilometer 9,” the report said. The report noted that some of the damages were not there in October 2015, when an international fact-finding mission conducted ocular in the area. 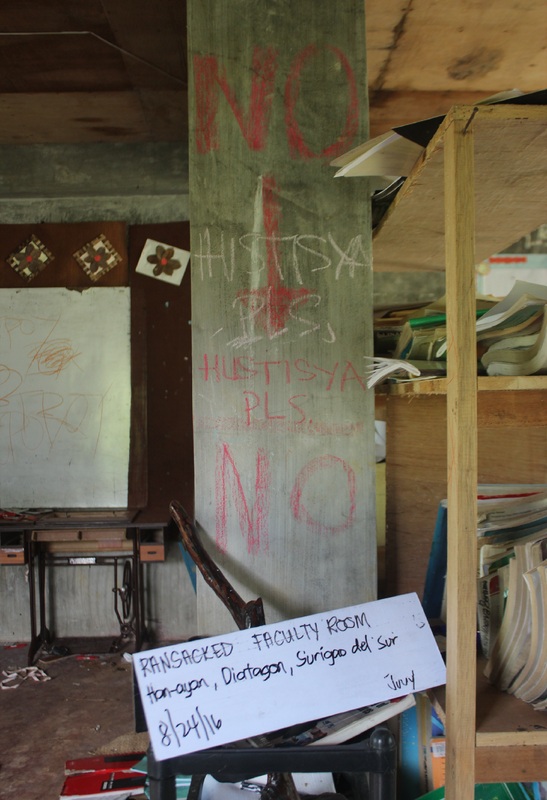 In Han-ayan, Garay said that soldiers built a camp inside the school grounds of Alcadev, and also on top of a hill behind the home of slain Mapasu chairman Dionel Campos. “Dionel’s house had several bullet holes. The wooden boards and timber of his brother’s house nearby have been removed. They even put up a checkpoint at the entrance of the Alcadev school grounds, as if they own the school,” Garay said. “As the military has been staying there, we hold them responsible for the damage to our houses, schools and teachers’ cottage of TRIFPSS. We hold them responsible for using the eight houses in Manluy-a, Simowao and Kilometer 16. There are clear indications that these were recently used because dirty dishes, fresh ash and cigarette butts were found in these houses. The ocular team even chanced upon a person inside one of the houses, who immediately left upon seeing us,” Garay said. While the groups appealed for assistance in the rehabilitation of communities, they also called on Duterte to help hold those accountable for the injustices on the Lumád communities, particularly the disbandment of the Magahat-Bagani paramilitary group and the arrest of their leaders, Calpet Egua, Marcos Bocales and Marcial Belandres. A year since the massacre, none of the identified perpetrators has been arrested, in spite of a warrant of arrest issued by a Lianga court. Lumad and human rights groups have said that the killings were done in collusion with soldiers, whom they have accompanied during operations. Military officials have denied any link with Lumad paramilitary groups. responsible for the September 1, 2015 Lianga Massacre, including Col. Isidro Purisima,” the multisectoral group said. For the Lumád bakwets, their time away from their ancestral lands has been enough suffering, and they are ready for whatever hardship they face home. “We will take back our lands! We will get justice! We will persevere to realize our aspiration of going home at the soonest possible time,” Garay said.